Valentine’s Day is all about showering the people you adore with love. Of course, if you’re one of those couples who doesn’t believe in Valentine’s Day then good for you. Over the years, 14th February has become synonymous with spending a small fortune to showcase your love to your significant other. On the day when love triumphs, Valentine’s Day at its very foundation is all about spreading love, joy, and happiness to all around you. It doesn’t necessarily equate to a special someone; it could be the mutual love of friendship between best friends or even between a family. That said, Valentine’s Day doesn’t have to be all about splashing the cash, even if you are good for it. Sometimes, all it takes is a nice meal topped off with great cocktails and an amazing view to boot. Going to bars is a great way to keep the romance alive, especially when its decked out to the nines in conjunction with Valentine’s Day. As 14th February is just around the corner, you wouldn’t want to be caught with your pants down (in more ways than one) with no proper plan. If you’re looking to keep it casual yet romantic, here are five bars around KL for you to wine and dine your date. 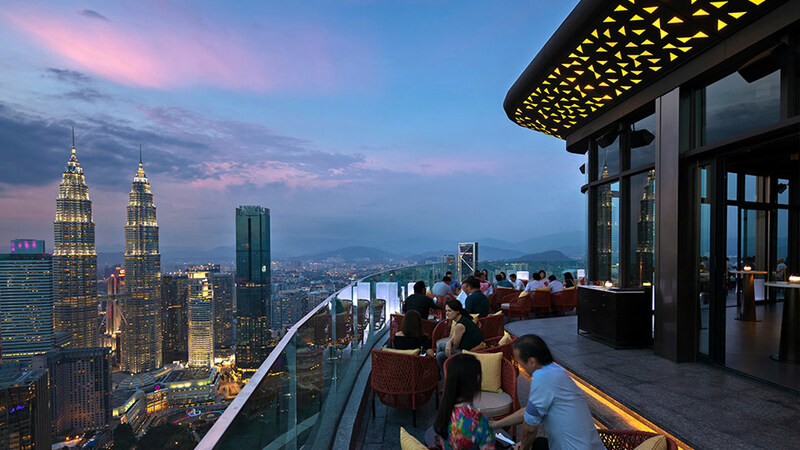 Vertigo is by far the tallest rooftop bar in Kuala Lumpur, residing on the 59th floor of Banyan Tree Residences. It features amazing views of the KL city skyline, giving you close to a full 360-degree view of the surrounding neighbourhood. Vertigo also boasts a view like no other with the KLCC Twin Towers right next to it. The bar also features an extensive menu of cocktails and South East Asian inspired tapas. Nothing screams romance more than sipping on a glass of wine or champagne while enjoying the cool evening breeze with a killer view to boot. Bar Trigona is another bar that is steadily making a name for itself around Kuala Lumpur. It’s located at the heart of the Four Seasons KL, tucked neatly behind the Lounge at Four Seasons. Bar Trigona is lavishly decorated with mosaic walls and reflective surfaces all around while still able to pay homage to the local cultures of Malaysia. Its menu is also extensive with heavy usage of a local honey as its core ingredient. If you’re looking for something a little more subtle yet, still heavily elegant and extravagant, this is the place for you. As a franchise, the Iron Fairies is a popular brand of bars around South East Asia. 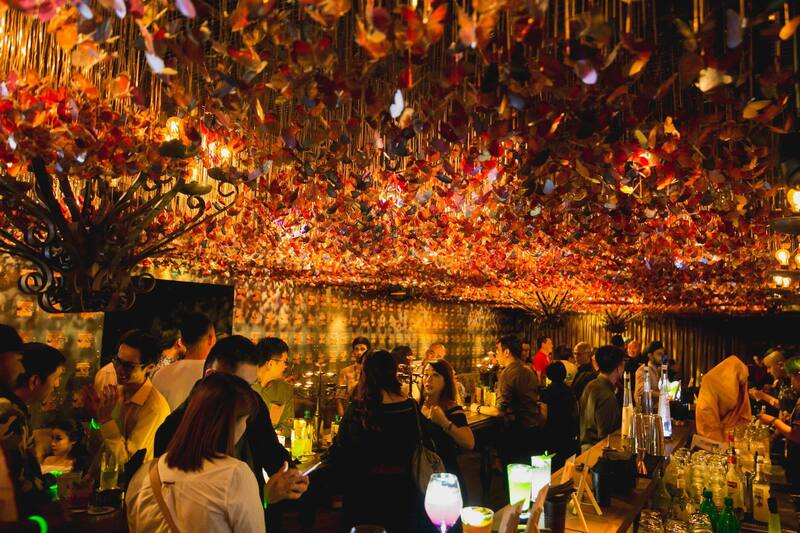 Kuala Lumpur is home to the third Iron Fairies bar with the other two locations being Bangkok and Hong Kong. While it doesn’t strike the right tone for romance, the Iron Fairies KL does create a sense of excitement and mystery with its uniquely designed decor and ambience. Its butterfly room is made for the party-goers but you can easily seat yourselves on one of its many tables with an assortment of fairies to play around with. The cocktail menu also deserves praise for keeping itself fresh and lively, capable of providing the right balance between keeping things fun and flirtatious. PS150 is one of the oldest cocktail bars around KL, situated in the heart of Petaling Street. While it doesn’t pride itself as a cocktail bar, it sure does come off as one with its unassuming entrance, which is a makeshift convenience store. Its interior is neatly decorated, harkening back to the Indochina era with its dim lighting and red lanterns. 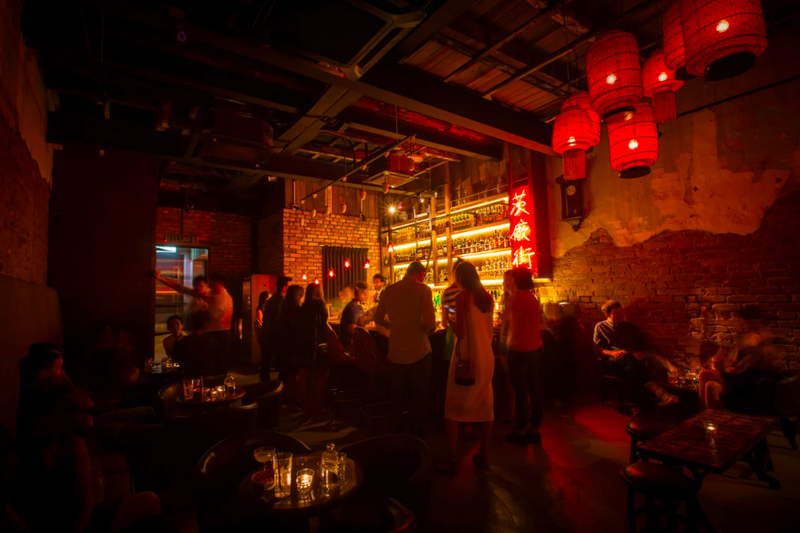 One of its seating sections is aptly named the Opium Den, which features intimate booths. This is perfect for date nights and such, making it a great choice for this Valentine’s Day. Sticking to the rustic aesthetic of the surrounding neighbourhood, Pahit is laid-back and relaxed with both indoor and outdoor seating with low tables and stools. 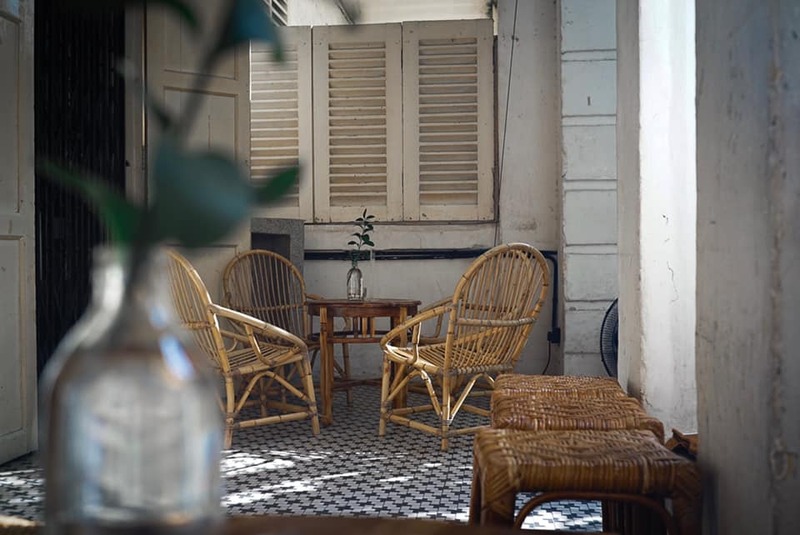 Unlike many bars these days, Pahit keeps its ambiance comfortable with soothing tunes playing in the background and letting its natural appeal do the work. This is its gin-based cocktails with Pahit positioning itself as a gin bar.